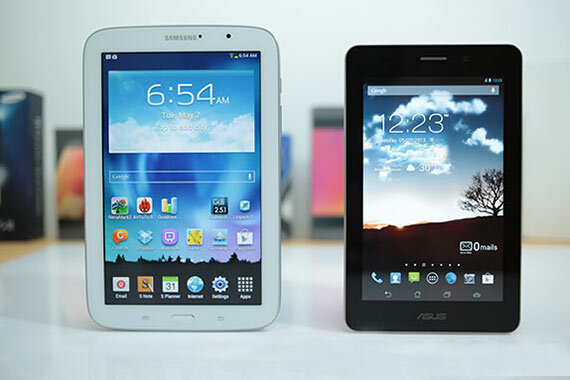 The Samsung Galaxy Note 510 and Asus FonePad are considered as the unique tablets. Both the tablets have similar functionality. 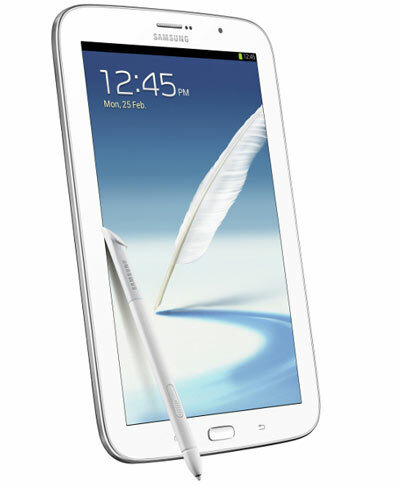 The Note 510 or Galaxy Note 8.0 has various attractive features. All the attractive features that are provided by Samsung are associated with this product. On the other hand, FonePad is the first entry of Asus in the tablet market. As per the looks and design, it is similar to Google Nexus 7 in another type. A detailed comparison between these tablets is mentioned below so that you can choose the one as per your specifications. The Asus FonePad looks similar to Google Nexus 7 with respect to its design. In addition, the dimensions of this tablet are also the same. On the other hand, the similar design language is followed by Galaxy Note 510 like the previous Galaxy S3 that is designed by Samsung. The chrome and rounded corners will make it appear like the other Galaxy device, which you will find in today’s market. The thickness of FonePad is 10.4 mm, and it weighs approximately 340grams. On the other hand, the thickness of Galaxy Note is 8 mm, and it weighs around 338 grams. The thickness of FonePad is mainly compensated by its curved sides. Galaxy Note 510 is entirely plastic while Asus FonePad has the metal black. Another thing that you should know is the plastic on the backside of Galaxy Note 510 is of finger print magnet. At the same time, you will be able to hold the FonePad in a convenient way, and it also offers a better grip. 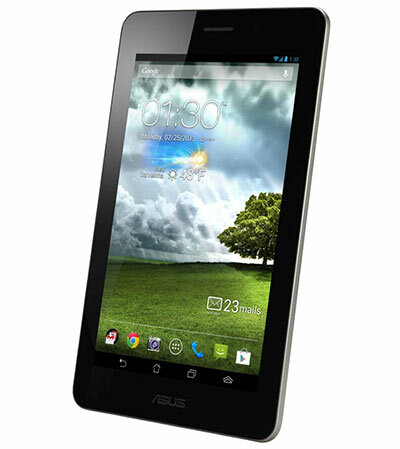 The FonePad of Asus is available with a 7 inch 1280×800 IPS TFT screen that is similar to Google Nexus 7. However, you will be able to notice the reflectivity from its screen due to the enhanced air gap in the middle of the display and screen. On the other hand, Samsung Galaxy Note 510 is available with an 8 inch 1280×800 IPS TFT display. Galaxy Note 510 has also an improved color and brightness reproduction. In addition, it has also the color variation tools as software that you can use conveniently. The text may appear somewhat crisper on Galaxy Note 510 due to 189 ppi. On the other hand, Fonepad of Asus has 216 ppi at seven inches. The screen of Fonepad is made of the fingerprint magnet, and Galaxy Note 510 has the oleo phobic coating, which will prevent the fingerprints to a significant extent. Furthermore, Galaxy Note 510 consists of the Waco digitizer for the stylus input. The Asus tablet PC runs on Intel Z2420 chip and the processor is rated at 1.2 GHz. It is considered as the single core processor with Hyper Threading. It also sports 2 logical chores. In addition, the memory capacity is about 1GB and its graphics is mainly powered by VR SGX 540. It is adequate for the casual games. On the other hand, Galaxy Note 510 has Exynos 4412 quad core chip and each core is rated at 1.6 GHz. The graphics are mainly powered by ARM’s Mali 400MP. The memory capacity is about 2GB. Both the tablets have the facility of making calls by using SIM cards. In addition, they also have micro SD card slots and 16GB expandable memory. In fact, the Galaxy Note 510 performs well in terms of daily performance, as well as raw performance. In case of price, these tablets are also available at a cheap price that will suit your budget to a large extent. FonePad tablet has 3.15 megapixels resolution camera with 1.2 MP resolutions on front camera.